TUESDAY, Dec. 8, 2015 (HealthDay News) -- A new study suggests that kids with asthma or allergies like hay fever may face as much as a doubling of their risk of high blood pressure and high cholesterol -- even if they aren't overweight. However, the risk to any one child remains low, experts stressed, and it's not clear whether allergic diseases directly cause these problems. It's possible that another factor -- such as a lack of exercise -- could play a role. Still, study author Dr. Jonathan Silverberg, said, "You have common health problems that turn out to have a lot more serious consequences in some kids." According to Silverberg, an associate professor of dermatology at Northwestern University's Feinberg School of Medicine in Chicago, prior research has shown that adults with allergic disorders are more likely to have risk factors for heart disease. His own research has hinted at links between the skin condition known as eczema, unhealthy life choices such as less physical activity and smoking, and heart disease risk factors. The new study aims to understand whether similar connections might exist in children. To find out, Silverberg's team examined the results of a 2012 U.S. survey of households and focused on findings regarding more than 13,000 children up to the age of 17. The survey found that about 14 percent of kids in that age range had asthma, 12 percent had eczema and 16 percent had hay fever. Extra risk remained even after the researchers adjusted their statistics to account for obesity as a factor, Silverberg's group said. The kids did not have a higher risk of diabetes, however. And the actual increase in risk for high blood pressure and high cholesterol wasn't large. 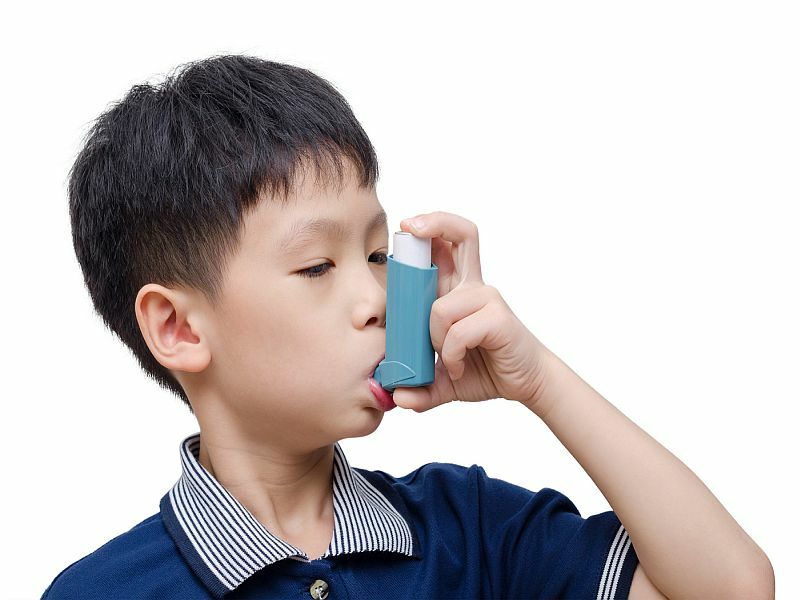 For the kids with asthma and hay fever, the overall level of risk only grew only by about 1 percentage point, the researchers noted. So, "clearly, not every kid with allergic disease has increased cardiovascular disease," Silverberg said. "Based on other studies, we suspect that it is mostly kids with more severe disease, though we were not able to examine that in this particular study." Kids with another autoimmune illness, the skin condition eczema, didn't appear to face a higher risk of high cholesterol and high blood pressure. They did tend to pack on more extra pounds, however. It's possible that inflammation related to allergies could boost cholesterol and blood pressure level, said Dr. Gregg Fonarow, a professor of cardiology at University of California, Los Angeles. Indeed, researchers have linked diseases like psoriasis that cause inflammation to an increased risk of heart disease, he noted. Silverberg said it's also possible that the diseases could cause problems through other means, such as poor sleep. Fonarow said parents shouldn't be especially concerned about the findings. But Silverberg said parents should understand that allergy-related diseases, especially when severe, can lead to other health problems. "It is important to recognize these harmful effects in order to prevent them or treat them early," he said. "Parents should talk to their pediatrician and specialists if their child has allergic disease that is not well-controlled or if they notice that their children are gaining weight or not able to do things other kids their age can do as a result of allergic disease." The study appears Dec. 8 in the Journal of Allergy & Clinical Immunology.